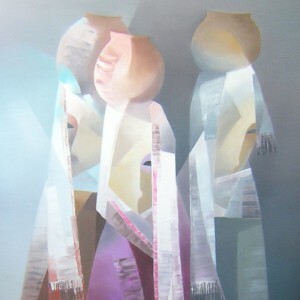 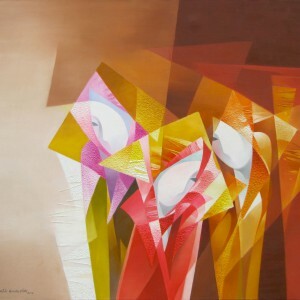 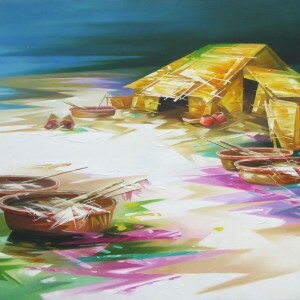 Asian painting is known for its meditative and contemplative character. 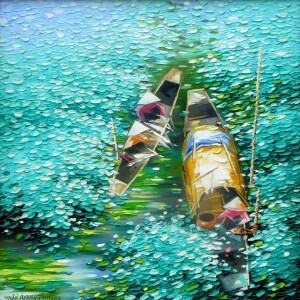 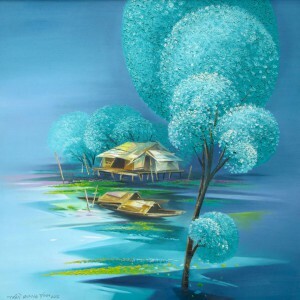 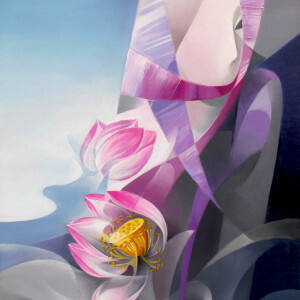 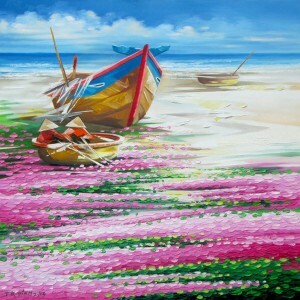 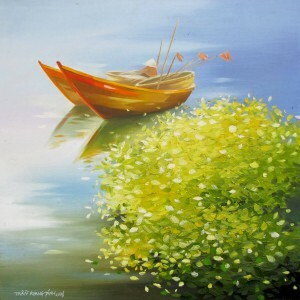 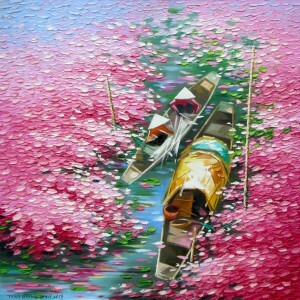 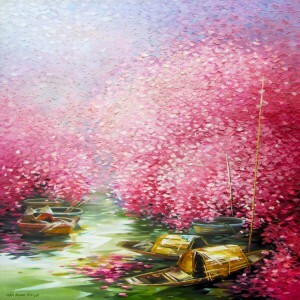 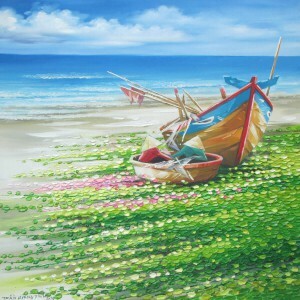 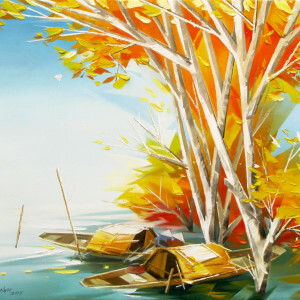 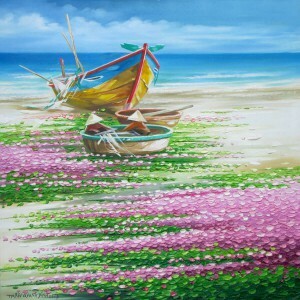 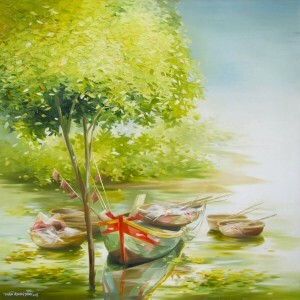 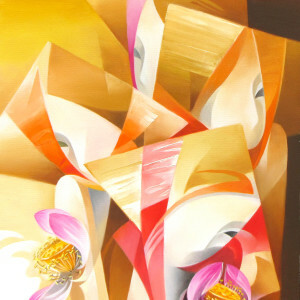 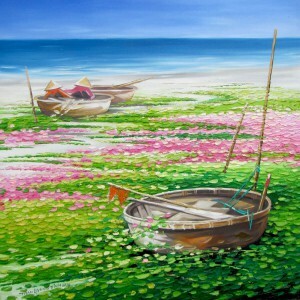 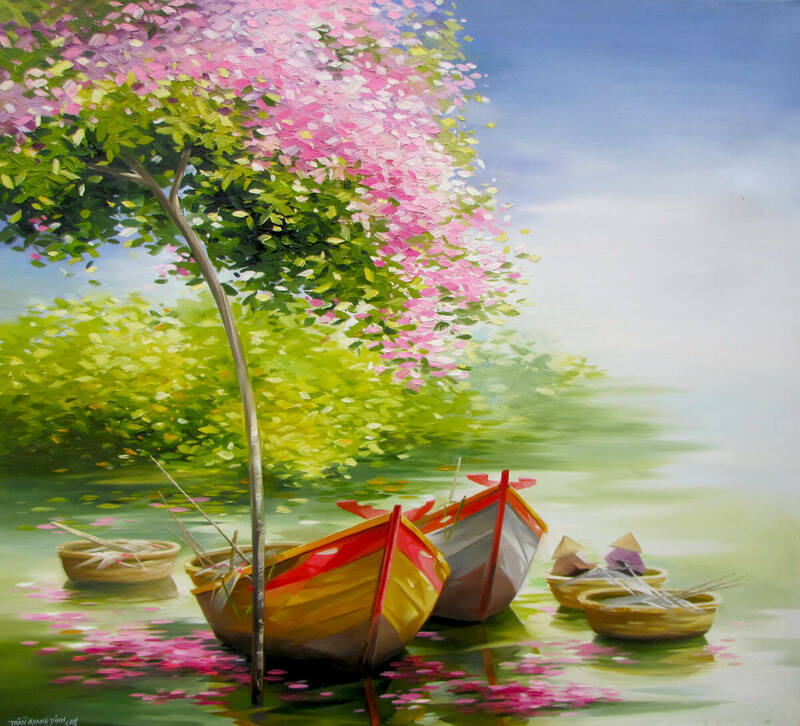 This piece is stylized as well as symbolic; the blossoming trees, river, boats and fishermen are highly evocative. 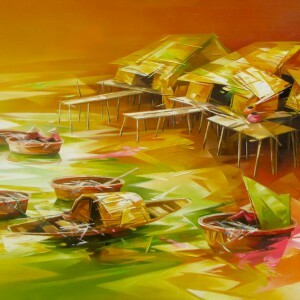 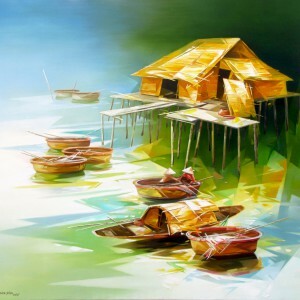 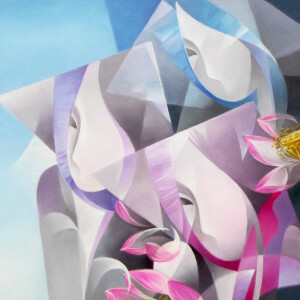 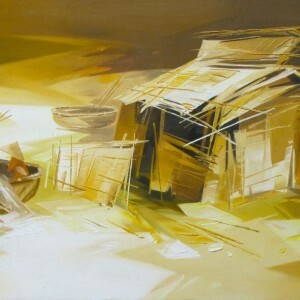 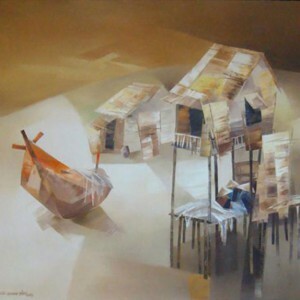 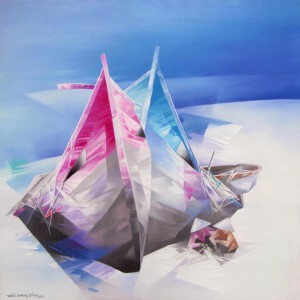 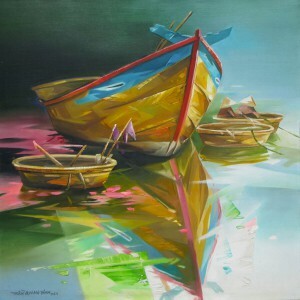 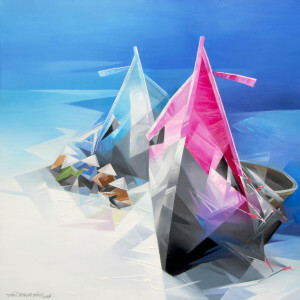 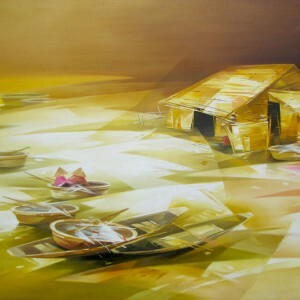 The composition with resting boats by contemporary Asian artist Tran Quang Dinh is noticeable for the delicate hues and refined drawing, filling the viewer with a sense of calmness and inner balance.